Currantly Hip Sour is a sessionable sour ale brewed with black currant from Oregon Fruit Products. 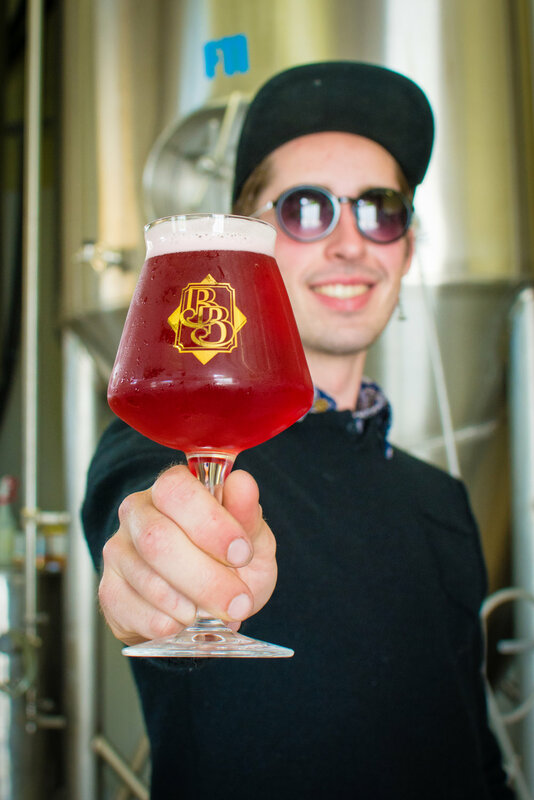 This crushable and crisp kettle-sour is a bright crimson color with flamingo-pink head. Currantly Hip Sour is finessed with the house lactobacillus culture and hopped with an experimental variety from Hopsteiner in Yakima. Delightful aromas of sourdough and earthiness prep the palate for some unique sour flavors of forest fruits and black currant. This totes swag sour is brewed exclusively for OBF!